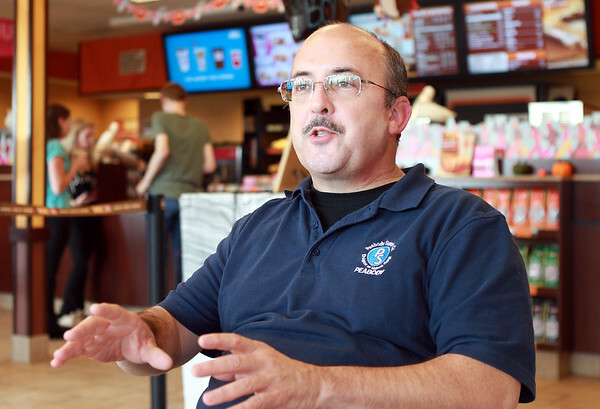 Tom Lyons, State Representative Candidate for the 13th Essex District, talks with The Salem News at Dunkin Donuts on Endicott Street on Wednesday afternoon. DAVID LE/Staff photo. 10/15/14.